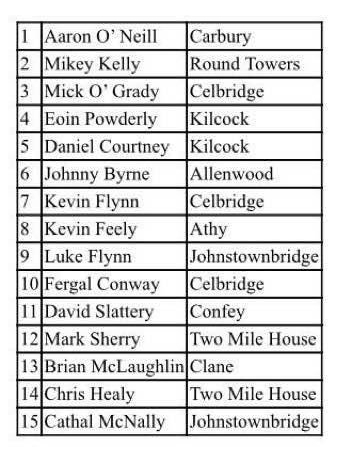 Kilcock’s Eoin Powderly and Daniel Courtney have been named in the Kildare starting fifteen for tomorrow nights O’Byrne Cup 2nd round tie with Louth, which takes place in Hawkfield, with a throw in time of 8pm. Manager Cian O’Neill has handed Courtney his senior inter-county debut at wing back after impressing there in some recent challenge games, while in Powderly’s case, the pacey defender has been recalled to the panel after missing 2017 with a cruciate ligament injury and will start at corner back for the meeting of the men from the Wee County. Elsewhere, promising Carbury teenager Aaron O’Neill will also make his competitive debut in goal, as will Celbridge defender Kevin Flynn at wing back. O’Neill has named a relatively strong looking team, with plenty of scoring threat upfront in the shape of Clane’s Brian McLaughlin and Two Mile House sharpshooter Chris Healy. Kildare should get their 2018 season off to a winning start at the expense of Pete McGrath’s Louth, especially if 2017 player of the year Kevin Feely carries that form into the new season. Barry O’Keeffe – Extra Time Sport Sports Person of the year 2017. 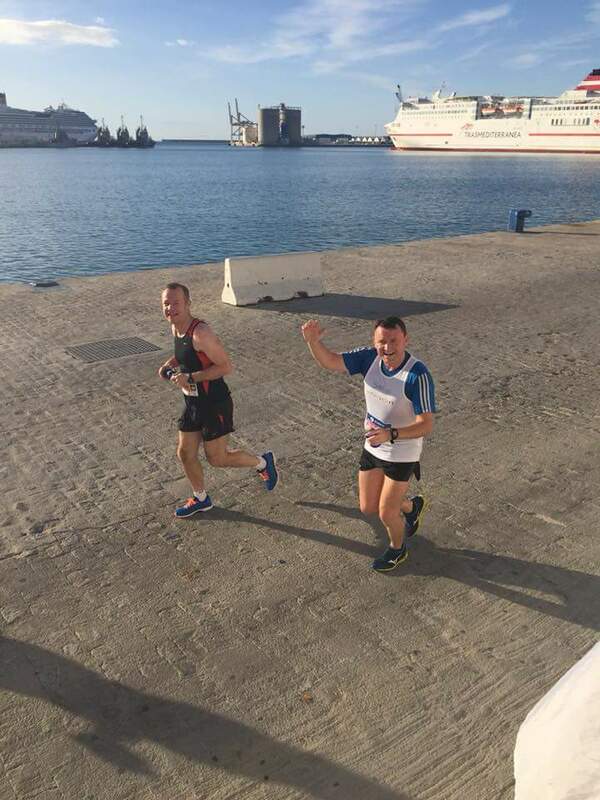 On December 10th, Barry completed the Zurich Marathon in Malaga less than a year after been involved in a serious car accident that almost left him paralyzed. Barry first entered the doors of CostaSpine at the beginning of June for treatmemt on the neck injury he sustained from the traumatic car accident. In the accident he sustained a cervical fracture of C6/C7. CostaSpine continued to treat him and his healing was phenomenal, he was incredibly diligent with everything their resident Chiropractor gave him to do. Before they knew it, he was on the rehabilitative side of his treatment plan and his results were remarkable. Barry then felt comfortable enough to start running and he has been so committed ever since, resulting in today’s fantastic achievement. CostaSpine were behind him 100% and before his run a spokesperson said; “Barry we commend you for your effort, dedication and perseverance of knowing anything is attainable with the right mind-set. Barry ran the race for a school close to his ❤, Saplings Mullingar. On the pitch Barry was always 100% committed for both Kilcock GAA and Moynalvey and it seems that determination has only been enhanced since his accident at the start of the year.